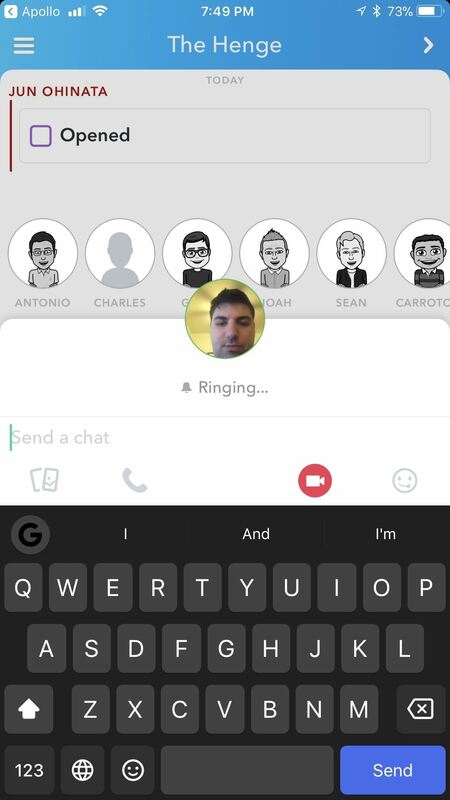 On April 3, 2018, Snapchat announced that the phone and video calling feature that's long been a feature of one-on-one calls would be coming to group chats. Well, late on Monday, April 17, the feature was finally pushed out to everyone for Snapchat groups on Android and iPhone. If you're not too familiar with groups, check out our guide to creating and using Snapchat groups to get better acquainted. 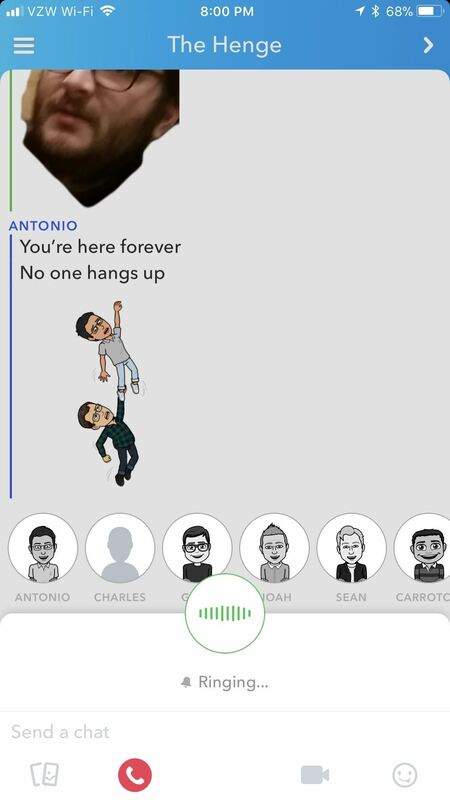 Snap Inc. feels like their "groups" feature is "less like texting and more like hanging out." This includes the Bitmojis that "[pop] up to say 'I'm here!''' All of this comes together to create a unique chatting experience, and group phone and video calls are the next logical progression. To make a group video call, head over to one of your groups, then tap the camcorder icon above the keyboard. Users in the group will receive an invite to join the video, even if they're not currently using their Snapchat account. Interestingly enough, if you make a video call, their notification will say that you're calling them, not the group. If you don't want to video chat, you're still able to record a video note to the group, which you perform by holding the camcorder icon and releasing to finish recording. 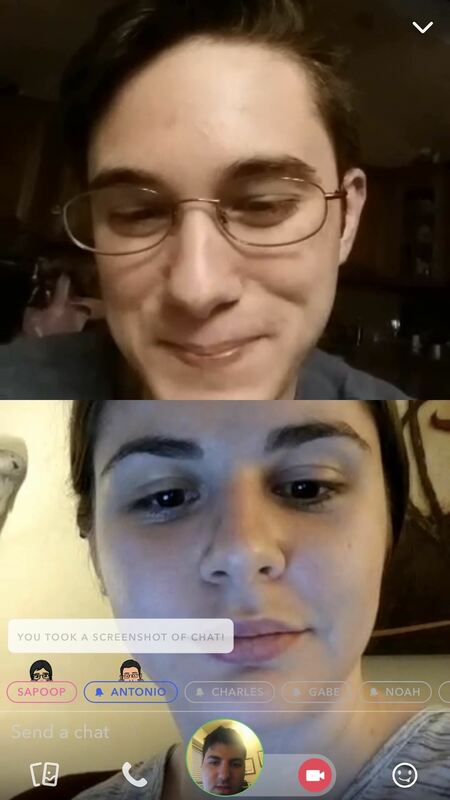 Once you're in a video call, you can tap the camera icon on the left (the smiley face) to flip the camera's viewfinder, depending on what you want to show the group. Everyone who is currently in the group can also join the video call by tapping "Join Call" button at the bottom of the group chat. 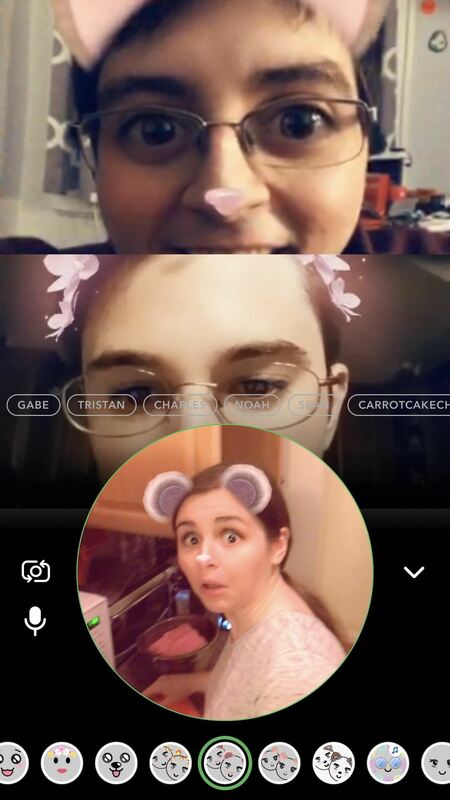 You'll be able to chat with up to 16 people total in the group at the same time, and you can even use some Snapchat-approved lenses to spice things up during the chats. 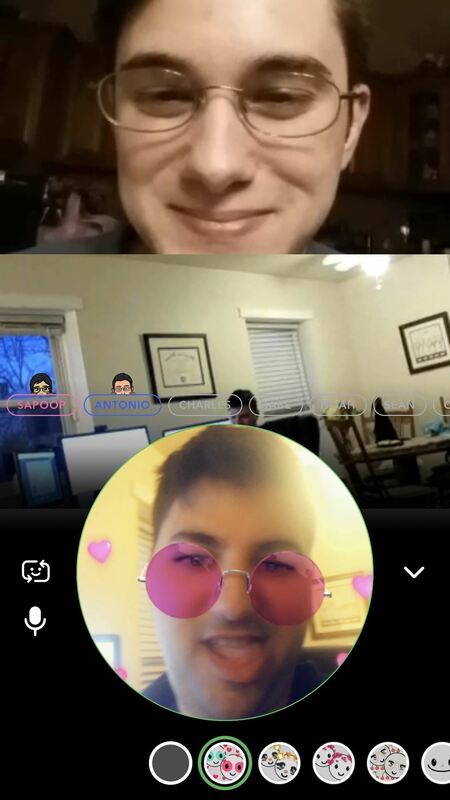 You can also use a variety of lenses inside the video chat, but they appear to be a select few that are prescribed by Snapchat for now. To make a group audio call, tap the microphone on the left, opposite the camcorder. Other than being strictly audio, these calls behave identically to video calls. 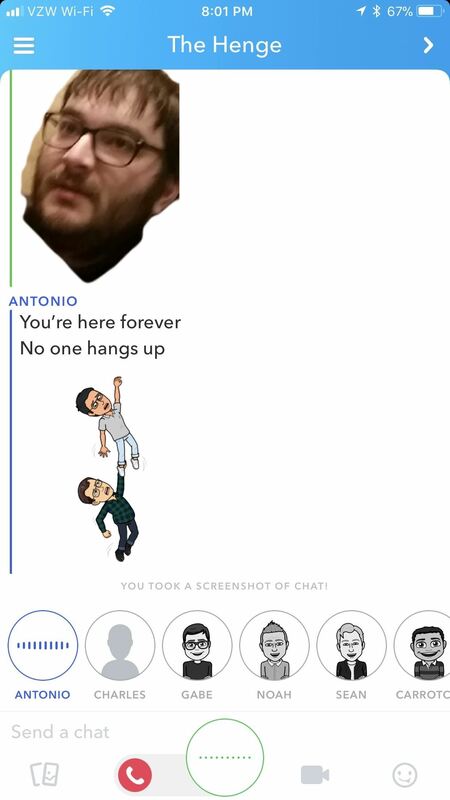 Users in the group will also receive an invitation to join the audio call, even if they're not currently using their Snapchat account. If nobody's around, you can always leave a voice note by long-pressing the microphone icon to begin recording and releasing when you're ready to send it to the group. Unlike group video calls, however, you can have up to 32 people total in the call — twice as many.